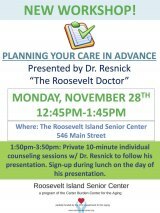 Roosevelt Island is blessed with a robust group of local service providers, cat sitters, lawyers, accountants, doctors. 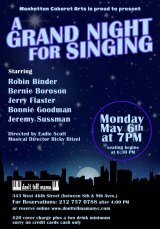 The following list is a sponsored resource of Roosevelt Island Daily. Depression, anxiety, addiction, and other mental health issues are not a normal part of aging," according to the National Council on Aging. "Left untreated, they can lead to fatigue, illness, and even suicide. ... One in four older adults experiences some mental disorder such as depression, anxiety, and dementia." 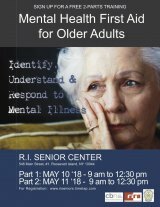 See how you can help with Mental Health First Aid for Seniors. Sure, it's only for five days and during a low demand holiday week at that, but the MTA is giving us a glimpse of the service we could and should have all year. Thursdays at 10:00 a.m, the Carter Burden Network/RI Senior Center, 546 Main Street, hosts weekly Road Runner Striders coach-led exercise sessions for fun and fitness. It's free! Closed since mid-August, Sportspark reopens Monday, April 15 at 7:00 a.m., according to a much anticipated announcement from RIOC. Repairs were more extensive than anticipated, and further delays were caused by administrative difficulties at the Department of Buildings. Need meeting space for your book club? Extra room to play bridge? Or simple solitude for meditation? RIOC may have a solution for you and is launching a pilot to find out. Carter Burden/Roosevelt Island Senior Center Outreach Director Hallie Shapiro announces new art classes featuring internationally recognized Painter Michael Sherman. Classes are supported by an SU-CASA grant from the City Department of Cultural Affairs. Beginning February 7th and continuing on every Tuesday from 9:00 a.m. to 1:00 p.m., volunteers from the American Association of Retired Persons (AARP) will be on hand to help you prepare your taxes. It's free! 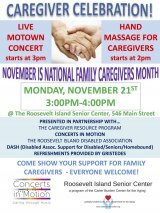 Just drop in at the Carter Burden/RI Senior Center, 546 Main Street. 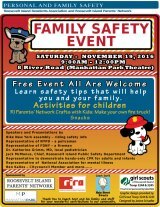 The focus is on family safety on Saturday, November 19th, from 9:00 a.m. until Noon at the Manhattan Park Theatre Club, 8 River Road. The event is free, and everyone is invited.